President Obama described his fiscal year 2013 budget – the most expensive in United States history – as "a blueprint for an economy that is built to last." But even his own Treasury Secretary does not agree with that assessment. For the second year in row, Timothy Geithner admitted before the Senate Budget Committee that President Obama’s budget takes no action to meaningfully reform entitlement programs, putting us on an "unsustainable" fiscal course. "Even if Congress were to enact this budget," Geithner said, "we would still be left with–in the outer decades as millions of Americans retire–what are still unsustainable commitments in Medicare and Medicaid. In fact, Geithner said the same thing about the president’s budget last year. 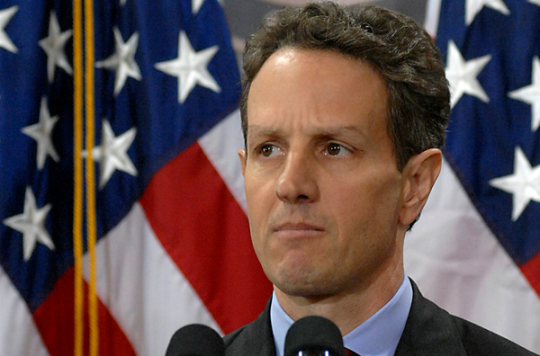 "With the president’s plan, even if Congress were to enact it, and even if Congress were to hold to it, we would still be left with a very large interest burden and unsustainable obligations over time," Geithner said in 2011. "That’s why we’re having the debate." The Congressional Budget Office projects that federal spending on Medicare and Medicaid will comprise an increasingly large, and inherently unsustainable, share of the economy in the coming decades. This entry was posted in Issues and tagged Federal Budget, Obama Administration, Tim Geithner. Bookmark the permalink.